During the holidays, Ellis Park really comes alive. One of the top Danville events, the Winterland Light Show draws visitors in to Ellis Park from all over Central Indiana. The Winterland Light Show is a sprawling display of colorful and intricate Christmas lights, strewn up all throughout the park grounds. Participants can meet Santa, take in the lights, and even take a carriage ride through historic downtown Danville. 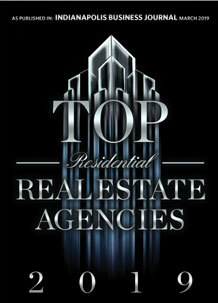 Never miss a new listing near Ellis Park! 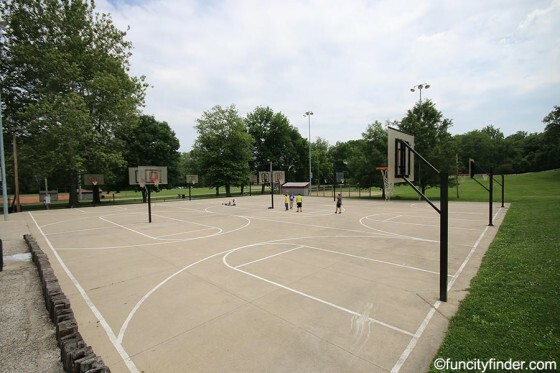 The oldest and only park (unless you count Blanton Woods) in Danville, Ellis Park has all the amenities, facilities, and natural beauty of any park in Indiana, even Indianapolis parks. 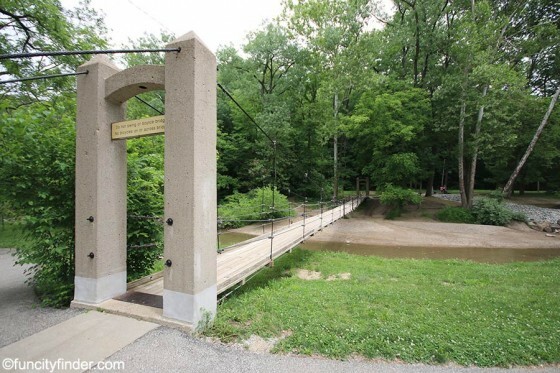 The quaint community of Danville, located 25 miles to the west of Indiana state capital Indianapolis, is a pastoral town, focused on quiet living and family values. 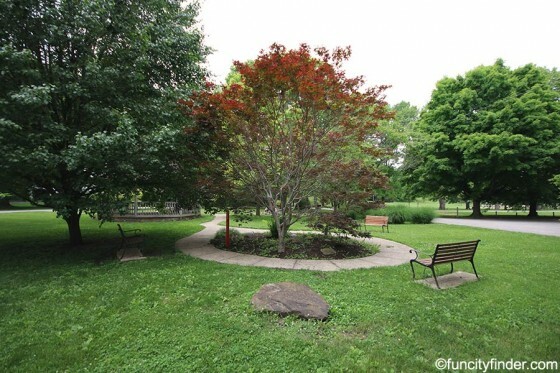 Danville parks are an important part of this relaxing lifestyle; with the presence of Ellis Park, residents of Danville have a place to go for quiet contemplation when their lives get too busy. Ellis Park is a safe haven for families to play sports together, have a barbecue, or simply have a picnic in sun. A shelter and playground at Ellis Park in Danville, IndianaThe 49 acres of Ellis Park were set aside in 1913, but the area wasn't a park back then. Instead, the land was used to protect the town's water supply, and it wasn't turned into Ellis Park until 1971. 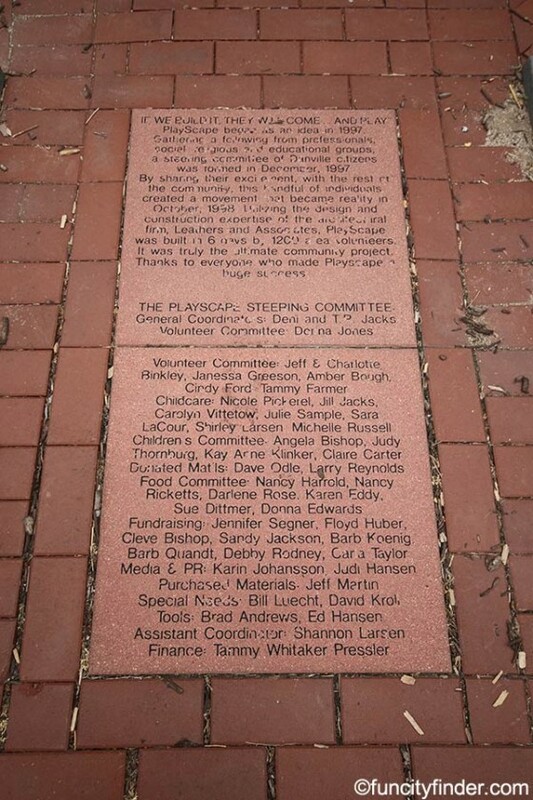 What started as simple open space to the north of downtown Danville was rapidly developed into a family gathering place, replete with playgrounds, shelter houses, and more. 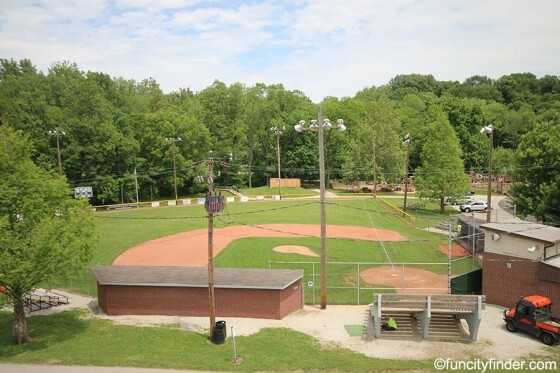 The park is a haven for Danville sports: it features the only public clay tennis courts in Indiana, baseball and softball fields, a football field (home of the Danville Junior Football League), and basketball courts for the most Hoosier of all sports. Ellis Park used to have a skate park, but it was closed down in 2009. Ellis Park's Playscape in Danville, IndianaDanville children and their parents should be right at home in Ellis Park. One of the best features of this Danville park is the massive sledding hill on its grounds, perfect for forming long lasting winter traditions. Three playgrounds are also on site at Ellis Park. 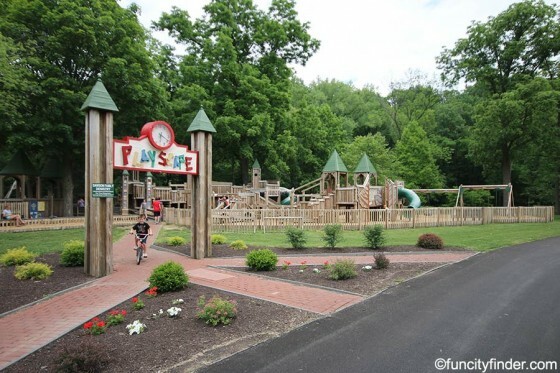 The Playscape, constructed in 1998 and funded by the Lilly Foundation and the White Lick Heritage Community Foundation, is the largest of the playgrounds, but the other two can be loads of fun for you and your little one as well. Ellis Park is also home to the Gill Family Aquatic Center, a massive summer fun zone with water slides, a lazy river, vortex, and more, one of many fun Indianapolis area water parks. 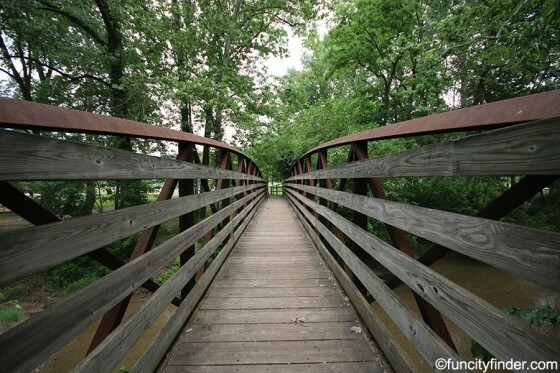 A foot bridge at Ellis Park in Danville, IndianaNature lovers can also find a home at Ellis Park. 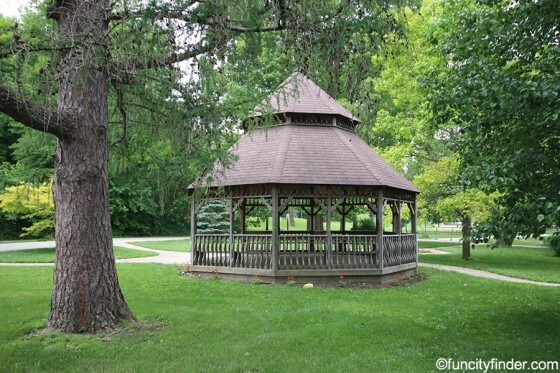 The Rotary Gazebo located in the park is the trail head for the entire network of Danville trails, a trail system that extends through downtown Danville and the adjacent Blanton Woods. 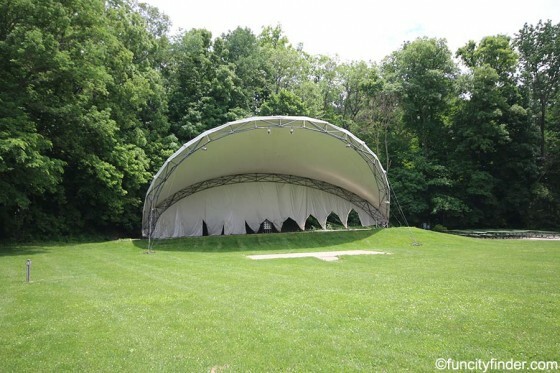 Plenty of Danville events are held at Ellis Park as well; the amphitheater on site brings in Indianapolis music (including the Indianapolis Symphony Orchestra), while the park's gazebo is available for rental. More prestigious events can be held at the "train station" at Ellis Park, a cozy community center with a fully equipped kitchen and roaring fireplace. The park is also the home of Danville's Winterland Light Show during the holidays, making Ellis Park the centerpiece for Christmas magic in Danville. Gill Family Aquatic Center in Danville, IndianaEllis Park, as the oldest and most important green space in all of Danville, has more than met the expectations of the community. 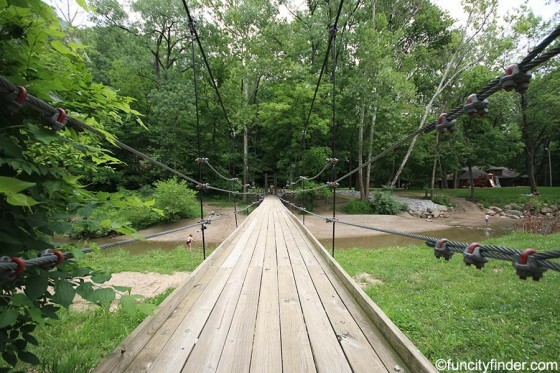 It's the perfect Danville thing to do, no matter what the season. In the summer, take your kids to the Gill Family Aquatic Center, grill out near any of the shelter houses, climb and slide through the Playscape and the park's other two playgrounds, enjoy a concert at the amphitheater, or sit and rest a spell in a gazebo. In the winter, the sledding hill comes alive with puffy jackets, snowballs, and shouts of joy, and you can cozy up to the fire at the train station. 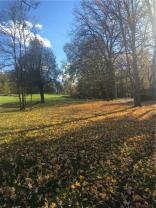 All year round, enjoy nature, family, and fun at Ellis Park, the best park in Danville, Indiana. Ellis Park’s amphitheater is a great place for residents to relax, enjoy each other’s company, and hear some free Danville music. 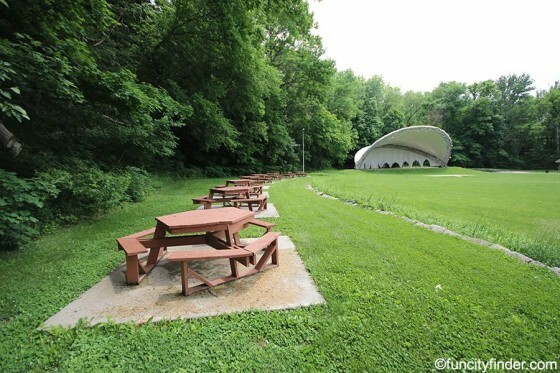 This concert space is a popular venue in the summer because this is where the town’s summer concert series is held.